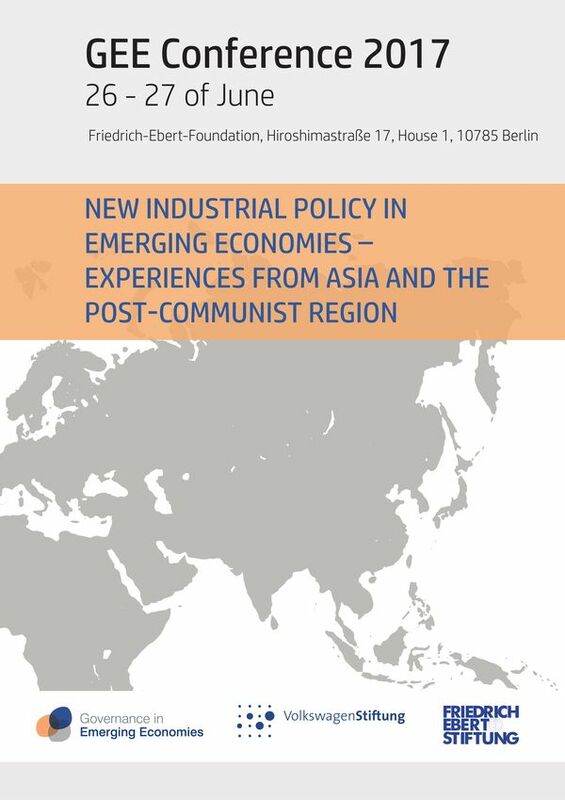 Our GEE Berlin 2017 conference “New Industrial Policy in Emerging Economies – Experiences from Asia and the post-Communist Region” that took place on 26-27 June gave opportunity for exchange with other scholars and policy-makers and opened new horizons for our research activities. The conference hosted experts, researchers, and policy-makers in industrial policy and development strategies covering various world regions. We enjoyed presentations by researchers from countries like Austria, Poland, Russia, Georgia, Indonesia, Taiwan and Pakistan. The conference agenda encompassed keynote speeches from renowned scholars, paper presentations and various formats of discussion and workshop rounds. The highlight of the conference was an expert round with policy-makers and experts on the role of industrial policy within the German development cooperation. Opinions from academic and policy-making circles were voiced and discussed extensively. Not least important and informative were presentations from our colleagues from other world regions whose papers focused on focal issues such as the role of the state in economic transformation, effective cooperation of private and public sectors, sectoral and regional industrial policies, integration into global value chains and stimulation of technological innovation. The conference was a good starting point for enhancing our knowledge of industrial policy practices worldwide and extending our research activities to other world regions. Click here to see our booklet of the conference.